How much time per day do you spend looking at your phone? Wouldn’t it be nice if you could learn how to make money on your phone and get paid for the time you spend using it? I’ve done a little bit of digging to find some cool apps that make you money. Here’s my favorite: Make $50 just by downloading an app. Sign up and install the Nielsen app on your phone. You can get paid $50 for every device you download the app on PLUS get entered to win cash prizes every month! With a little bit of work, you could stop watching Instagram stories of exotic locations and start posting some of your own. Get paid for surfing the Web. 1. Swagbucks – An absolute MUST join. Get $5.00 simply for signing up! 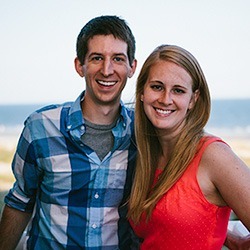 This site offers a smartphone app that enables you to earn Swagbucks (SB) for watching videos, answering surveys, and completing merchant offers. You can also surf the Web using the Swagbucks toolbar and win additional SB. Once you have at least 300 SB, you can trade them in for Paypal payouts (or gift cards if you prefer). You’ve likely heard of Nielsen in the past. You know when you hear of a TV show being cancelled or renewed for a new season due to ratings? Well, Nielsen is the company that assigns the ratings to TV shows. They do this by tracking what their users watch. The more people watching a show, the better the chances are at renewal. If no one is watching, it gets canned. They are expanding into new areas and want to know how people are using their phones. As a thank you for helping them out, you’ll get paid $50 just to download their app. It’s non-invasive and how you use your phone will help shape a lot of trends in pop culture. 3. Ibotta: Get $10 FREE when you sign up! This was one of the first rebate apps on the market and offers cash back on grocery, apparel, electronics, restaurant, pet, etc. purchases. The rebate amounts are fairly high (as much as $1.50) and work across a number of stores. 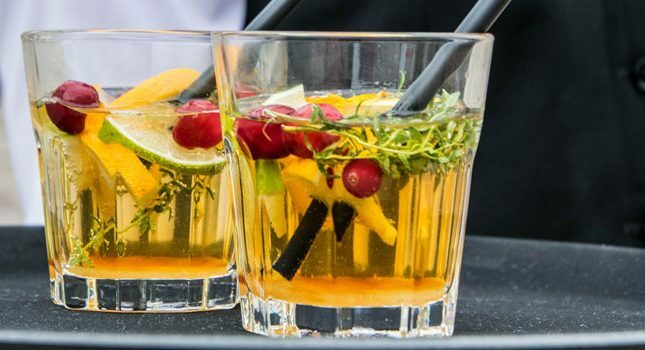 Many qualifying rebates are brand-independent (e.g., $0.50 off any orange juice), while others require that you purchase a given brand at a certain store. 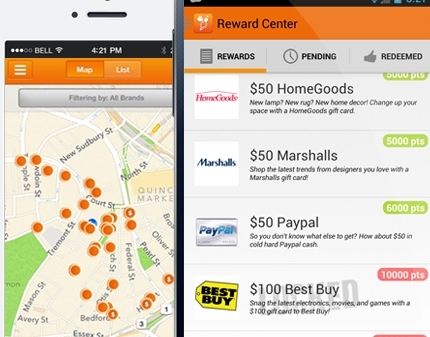 With this app, you can view news, product deals and other offers and earn points. Once you’ve accumulated enough points, you can redeem them for Paypal cash, coupons or gift cards. Get paid for mystery shopping. This microjob app has you earning money by completing tasks such as checking store displays, taking photos of grocery shelves, finding specific store products, and going through checkout. The assigned microjobs must be completed in a given amount of hours. Payouts are made by Paypal. GigWalk is a mobile app that offers you paid tasks while you’re on-the-go. These tasks are geo-focused on your specific location and might include checking a street sign, verifying a transportation option or examining a landmark. After you apply for an assignment and complete it, your payment is sent to your Paypal account. Once you prove your worth as a Gigwalker, you’ll be sent higher paying (e.g., $100) assignments. This app is perfect for shopaholics and has you earning ‘kicks’ when you walk into a retail store such as Target, Walgreens or Macy’s. If you then make specific purchases or scan your receipt, you earn additional kicks. You can redeem your kicks for Paypal payouts or gift cards. 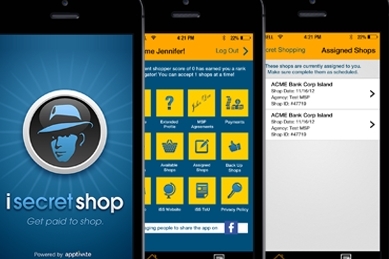 For additional apps that pay you to scan your shopping receipts, click here. 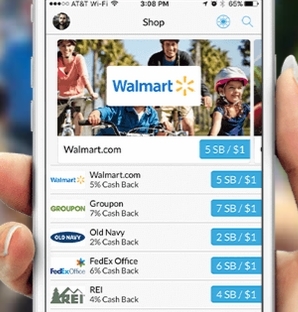 This app pays you money for going to local stores and businesses and completing tasks such as taking photos of product aisles or checking item prices. Tasks pay between $2-$20. Once your shift is completed and approved, your payment is sent to your Paypal account within 48 hours. This app pays $4-$7 for local tasks such as taking pictures of a store display or reporting product prices. Payments are sent to your Paypal account. This app pays you $0.25 or $0.50 for every question (Askvert) you receive and answer in a set amount of time. For example, you might be asked how many times in the last week you used a foot moisturizing cream. The number of questions you receive depends on your demographics and geographic location. Payments are sent to your Paypal account. This mystery shopping app allows you to complete tasks like snapping photos of a drive-thru sign for $4 or calling a virtual education business for $10. You use the app’s geo mapping function to find mystery shops close to your location, then apply for these shops through your phone. This app pays you to perform mini mystery shopping gigs by assessing a shop’s cleanliness, friendliness, speed, etc. Once you complete a gig and answer up to 10 questions, you’ll collect Mobee points. These points can be redeemed for gift cards or cash. This app compiles mystery shops from various portals and posts them on one job board. You can log into this app to complete available shops, after which you are paid through Paypal. With this app, you accumulate points when you place, view and interact with ads on your phone. Once you reach 500 points, you can redeem them for cash or gift cards through your Paypal account. This app pays you to view ads on your phone once you unlock it. The earnings increase gradually and depend on how much you interact with your phone. Paypal payouts start at $10. If you’re not into shopping, My Survey is an online opinion app where you are paid with points for answering surveys. A typical survey might pay out 100 or 200 points. Once you reach 1,000 points or more, you can redeem your earnings for Paypal money or gift cards. 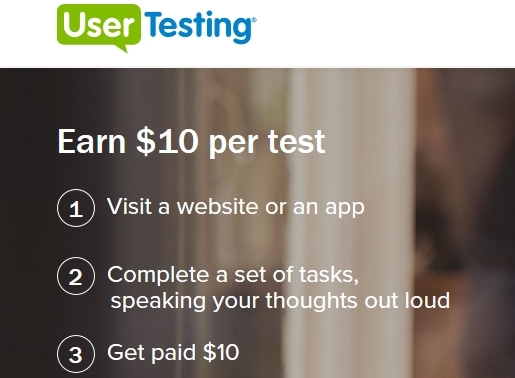 Companies will pay you to test their apps before they launch through the UserTesting app. You do need to successfully complete a sample test with this company, but once that’s done, you’ll be earning $10 for each app you download, test and review (via voice recording) for UserTesting. This app pays you to download other apps and use them for at least a few seconds. Your starting pay is $1 but can increase as you gain experience. 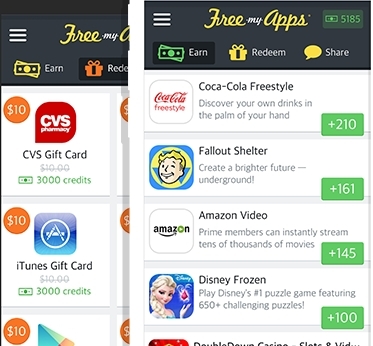 This is another app that pays you money to download other apps, with payouts going as low as $1. You can have the money sent to your Paypal account or purchase gift cards. This app stores your submitted smartphone photos until they are purchased by companies or individuals. At that point, you earn $5 per sold photo, which goes into your Paypal account. For additional money-making photo apps, click here. Do you know of other money-making mobile apps? Describe them in the comments below. you know there is a lot of ways to earn money and your article is cool one. Moreover, nowadays it is really popular to earn via Instagram and I think it is the best way. We can sell something and get money for it on social networks. Steve, I love side hustling and you picked some great things I haven’t tried. These things sound even easier than the side hustles I’ve tried also. I’ve tried mystery shopping, but my first (and only) time doing it didn’t work out for me. I’ll have to try some of the things you listed. Right on Tiffany! These are more geared towards fun things you can do in your spare time to pick up some extra cash. You have got to be kidding. I never realized there were so many things you could do with your smart phone to make money. I have done some mystery shopping in the past but it looks like mystery shopping is changing now with the wide use of smart phones. There are some great ideas here but I’m not sure I want to tell my teenagers about them as I will never get them off their phones then. Thank you though. This is amazing and I am going to save your website to my favorites. Glad to have helped Rick! These are all nice, easy ideas to make a little bit of cash on the side. Nothing life changing, but some money is better than no money! Great information for earning some extra bucks by using the mobile phone. I’ve also tried some of them. They are legit. Though one cannot make good amount for a decent living, yet these can help you to make some small amount which are really helpful. Swagbucks is really best and one can earn redeemable points doing various tasks. For sure! None of the above programs are going to make you rich, but it could earn you some extra cash in your spare time and that sure beats playing another level of Candy Crush. I use my smartphone for 10-12 hrs a day and didn’t know that I can use it to earn some quick money. Thanks for writing this article. Joined Swagbucks – let’s see how it goes. Thank for sharing this information about how make money from your phone. I agree most people are using their cell phones for a lot of activities now day. I realize there were apps to making money, but not with your cell phone. You have really peek my interest in some of the ideas you providing in your article. I’ve been a member of Swagbucks, but I really haven’t use this app for making money. I think now is the time to change my mindset. I’ve bookmark your website for future references. Thank for great article. I know I waste a lot of time on my phone, so there are a few good opportunities listed above to transform that idle, mindless time into something that could bring in a little extra money. Awesome post and very informative. We have no excuse nowadays, given that there are so many opportunities to make some extra cash and the beauty of your suggestions is that most of them can be done online. The online business is getting more and more popular these days, sometimes we don’t know where to begin. Well done, can you say if some of those online tasks are available in my country, ( Ireland ), please. Wow there are tons of options here. I tried out a couple and found they’re not good for the area I’m living in. I guess that’s a huge factor in determining how/if you can make money with these! I wish I lived in a more populated area so I could benefit from this. Thanks anyway! Wow, I had no idea there were so many ways to make money using your smartphone. Too bad I don’t have one! Do you think someone could make a full time income doing these things? Or is it more of just an extra cash gig? I would assume that for many of these you would have to live in a city. Is the return on time investment good for these apps? Like would the amount of time it takes you to do them be worth the money you make? These are definitely not full-time income opportunities, but rather something you can do in your downtime instead of playing Candy Crush or the like. thank you for sharing this list of money making resources. I knew of only one, Swag Bucks. Never knew other others even existed. I’ll have to do some further research on them to see which ones I’ll try out. I’m always look-out for good money making opportunities. Thanks again for your info. Sure thing Jerome! 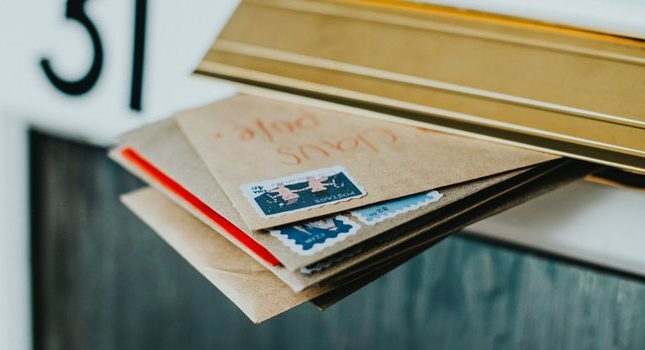 Thanks for reading and taking the time to comment! Lots of great information. There’s so many apps now days that you could make money from. This article helps people looking to make extra income. I’m always looking for ways to make more income. I ‘ve sold online on ebay, poshmark, and etsy. Now I’m blogging about my experience. I need to make more money!! Thank you for writing this interesting article! I had no idea that there were so many ways to make extra money with my phone! I’m beginning to make plans for long term travel, and while I do have money saved, it would be helpful to generate a little bit of extra cash here and there. Your post gave me a lot of ideas and something to consider as I continue making plans! Sure thing Audrey! Always glad to help. I do wish you safe travels.